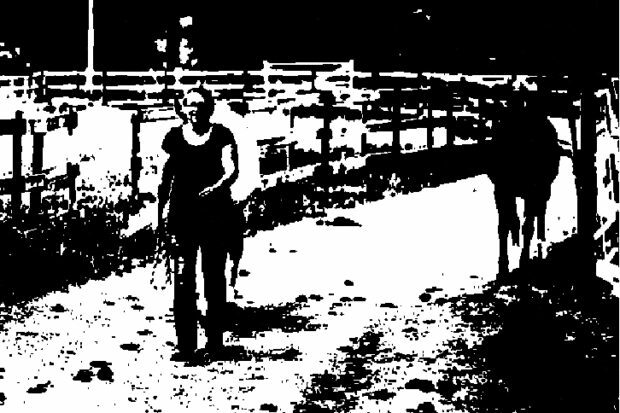 The Heroine's Journey | The Equine Connection Coaching Services Ltd. The Equine Connection Coaching Services Ltd.
One of our favourite exercises with the horses here at The Equine Connection is ‘The Heroine’s Journey’. The exercise consists of walking with a horse healer on a path labeled throughout with the elements of the classic hero’s journey. The exercise is actually a wonderful representation of all that we do here on the property. You have probably heard of the Hero’s Journey, or, as we like to call it, the Heroine’s Journey. It is a story line that is common throughout history. The main character leaves on an adventure, encountering friends and foes. She receives wisdom from a spiritual, or supernatural guide. Along the way, the heroine is pulled into an epic battle, has a life altering experience, or experiences a dark night of the soul, in which she must draw upon inner strength, the teachings of her guide, and the help of her companions in order to triumph and emerge, once more, into the light. The heroine returns home, transformed, and holding with her the wisdom and gifts of her journey. The story line is common to us all because it is the nature of life here on earth. We all begin our lives full of light and love. We all meet with friends and foes along the way. And, we all, every one of us, descend into the darkness. However, this is where our stories can diverge from that of the heroine. Some of us stay in the darkness because we have not learned what we need to do to emerge once more into the light. We have yet to find the tools to support our transformation. We have yet to connect to the wisdom from our guides that tells us what we need to do to win over whatever battles are being waged, and remind us that we know how to defeat the monsters. This is where the horses, together with the whole of Mother Nature, come in. Horses are healers. They are teachers. They are the spiritual guides of the heroine, reminding her of her truths about herself that she needs to know in order to transform, and fully own her life – to realize her full potential and become the embodiment of the heroine, rather than the victim, of her own story. You are already on the path. We are your faithful companions. Come meet your guides. Our next retreat is Saturday, September 16th – a 12 hour long journey packed with tools you can take home and have support you as you journey forward. Also, starting September 30th, we are offering The Heroine’s Journey Training where you will have the opportunity to re-structure your life to live your best life. This training spans eight months and involves meeting one Saturday each month. Find the details under the ‘programs’ tab. 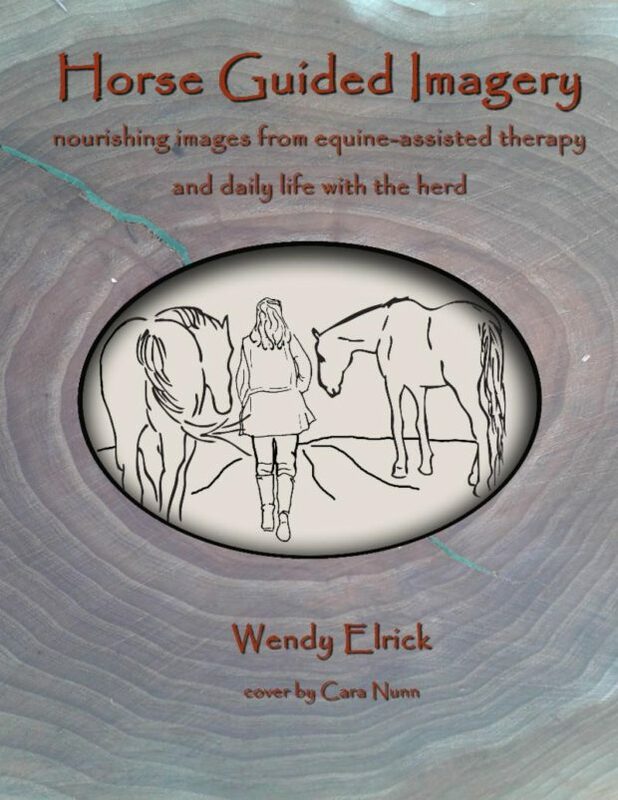 Horse Guided Imagery offers you the opportunity to explore images of horses as a source of support for your own well-being, including increasing your self-awareness. Become One of the Herd today! 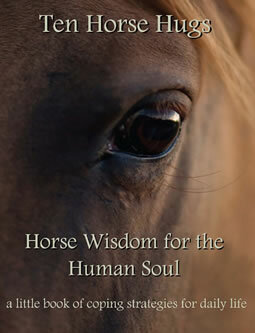 As a member, you will receive a copy of the ‘Ten Horse Hugs’ e-book. This book provides the reader with twenty coping skills to manage the stressors of everyday. Plus, you will receive monthly exclusive offers, tips & much more. ‘Ten Horse Hugs’ provides the reader with twenty coping skills to manage the stressors of everyday. We will be focusing on assertiveness and self-esteem.